Virginia lawmakers did not pass a single piece of legislation dealing with guns during the most recent session, and activists said firearm deaths are only increasing. CHARLOTTESVILLE, Va. (WVIR) - People in Charlottesville are coming together to discuss ways to get better gun laws in Virginia. On Sunday, the League of Women Voters of the Charlottesville Area (LWV) hosted a seminar at CitySpace to get feedback from the community on the issue. ‘When is enough, enough?’ was the question the group wanted to know the answer to. “The death toll in Virginia from guns is going up every year. It&apos;s been going up every year since I started doing this 12 years ago, at that time suicides were going up, homicides were going down, but the number was still increasing,” said Andrew Goddard, legislative director of the Virginia Center for Public Safety. Majority of shootings happen due to a family-related issue. 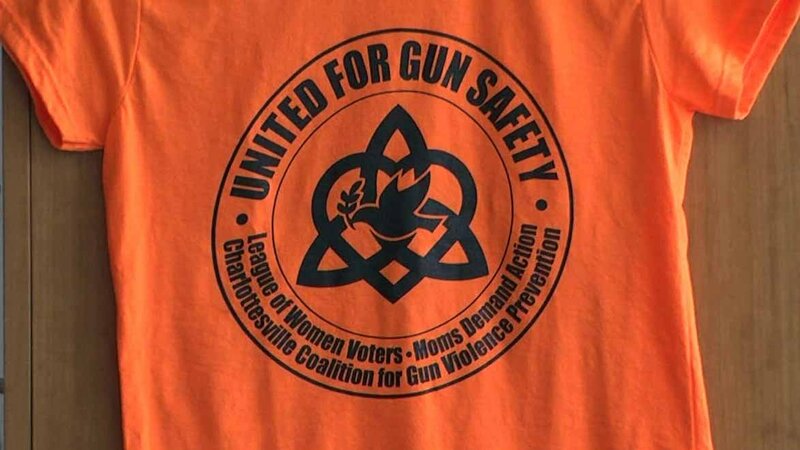 Ruth Hoffman, the co-chair of LWV-VA Firearms Safety Task Force, said, “57 percent of mass shootings are domestic violence related, so it&apos;s someone that&apos;s committing violence against other intimate partner and if we can prevent when we see signs of domestic violence." Thirty-six pieces of proposed legislation failed during the most recent session. Many feel the legislation failed because of a lack of understanding. &apos;It&apos;s the misinformation, there&apos;s a lot of people out there saying ‘oh you&apos;re going to take away our guns’, ‘you&apos;re going to take away our freedom’, ‘you&apos;re going to take away everything that&apos;s the basis of America’, which is not the case,” stated Goddard. “We shouldn&apos;t be letting anybody sell a gun to a stranger without a background check." "No one gun law is going to prevent every act of gun violence, so it&apos;s going to take a very comprehensive approach, universal background checks is number one priority and US Congress in the house just passed that, the first time in two decades,” said Hoffman. Goddard noted, "We can never get rid of violence because we&apos;re violent animals in some conditions, but we can reduce it. We don&apos;t have to more than 1,000 Virginians killed every year." The League of Women Voters of the Charlottesville Area said that they will not stop trying to get gun better laws. They hope that next session some of the proposed bills will get passed.